2VR is extremely innovative. Hands free. Thin. Mobile. Fits in your pocket. Today, we have unlimited access to information. We can easily access photos, videos, and text via our smart phones. The one media lacking instant access is virtual reality. 2VR addresses this, turning our flat 2D media, into 360 degrees of awesomeness you can explore anywhere. 2VR allows you to view hands free, this really allows you to fully immerse yourself in all the great VR content. What makes this possible are specially designed ear grips that comfortably balance the phone on your face. Being hands-free truly allows you to immerse yourself in the content. 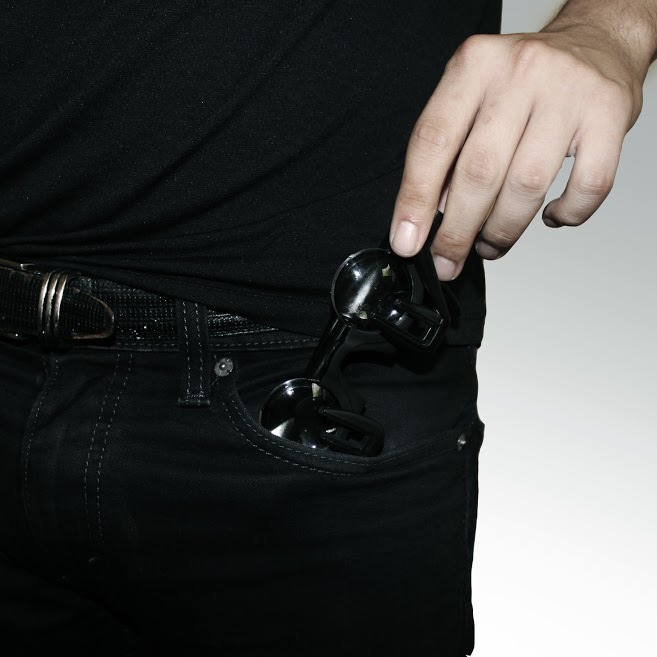 2VR is the first hands free VR headset that fits in your pocket. 2VR is so thin it fits practically anywhere. Allows you to watch wherever whenever. Many people leave their VR headsets at home, why not take it with you when you’re on the go; whether going to your local coffee shops, a friend’s house, or traveling the world. VR is at your fingertips. Each package includes 2VR FABRIC, and immersive cover that doubles as a protective sleeve. Enter a new world, and enjoy. 2VR holds smartphones of all sizes. We’ve tested most Androids and Apple smartphones, everything from 4″ (iTouch) to 5.5″ screens (iPhone 6s Plus). Soft Rubber Phone Grips to allow for any movement while wearing 2VR while keeping your phone safe. Ergonomic Ear Grips designed to comfortably wrap around your ears. Rotating Front Arms used to holds most smart phones! Make sure your phone is fully pressed in. We recommend taking off your case or using a thin case. Large cases may fit but are not recommended. Adjustable Temple Lengths We are all different, 2VR allows users to adjust the temples to work for you. Nose Padding to comfort your nose. Immersive Every 2VR package include 2VR FABRIC an immersive cover that functions as a portable sleeve as well.